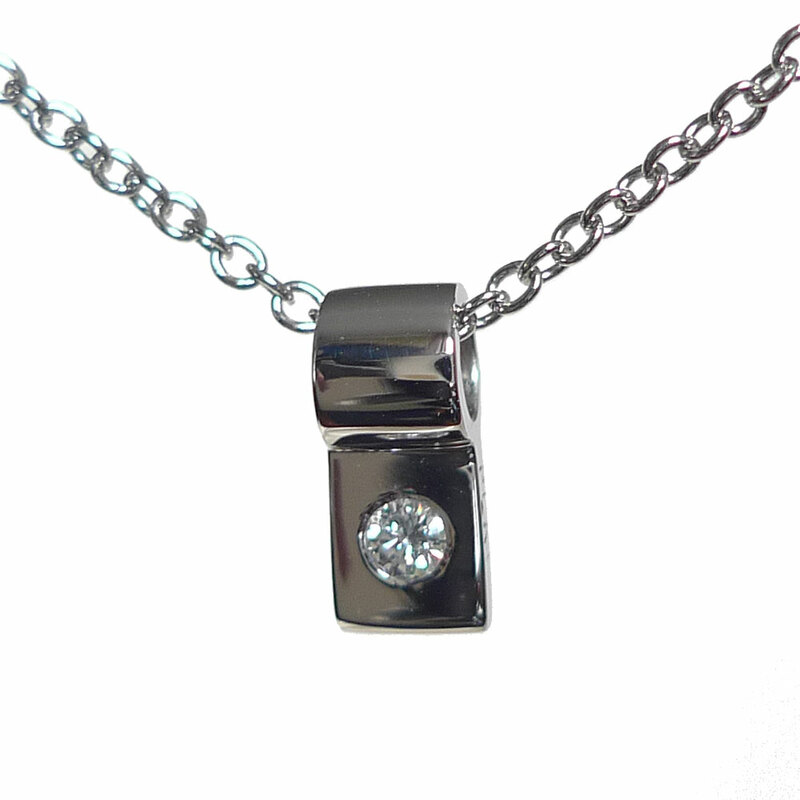 Our sleek slide pendant, in elegant platinum. Comes with a single diamond hand set within it. 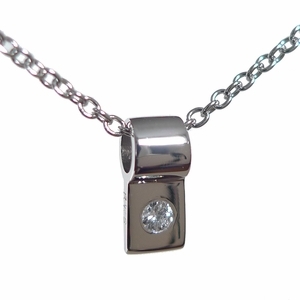 A platinum chain completes this necklace. The piece is 0.4" high x 0.25" wide.